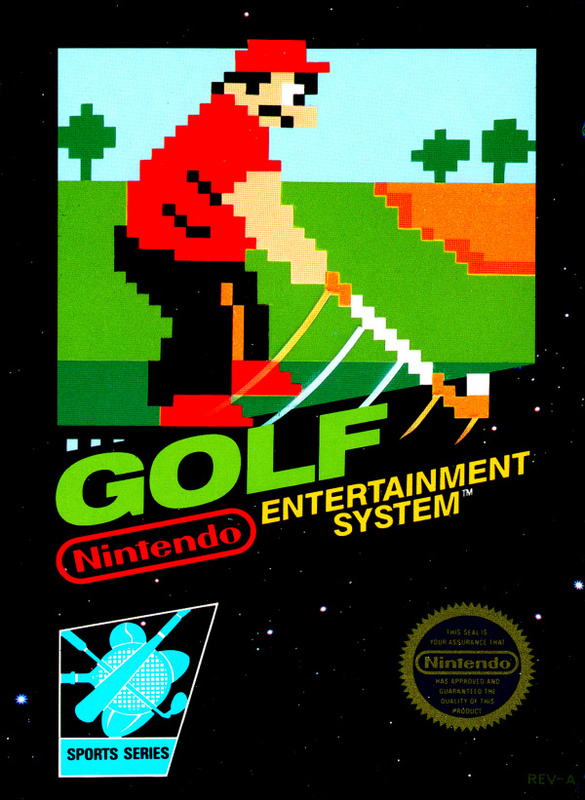 Test your skills across 18 holes of realistic links action. 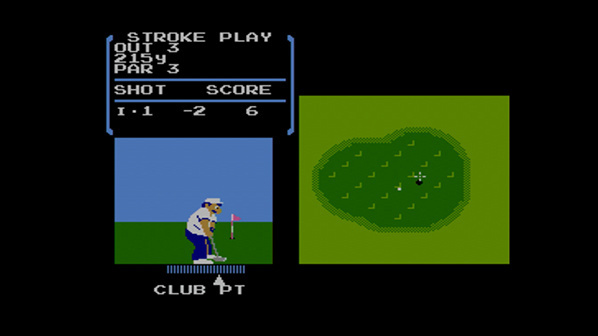 GOLF offers classic stroke play for solo players, while two players can compete in stroke play or match play. 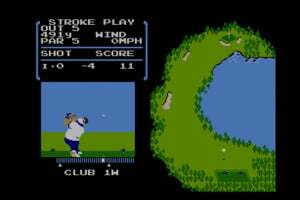 Judge the wind direction, check the distance, select a club, adjust your swing and keep your eye on the ball. 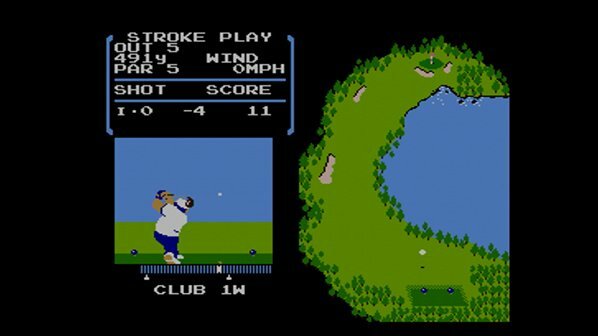 From twisting fairways and dense forests to water hazards and deadly bunkers, GOLF is packed with challenges for budding pros or newcomers alike. 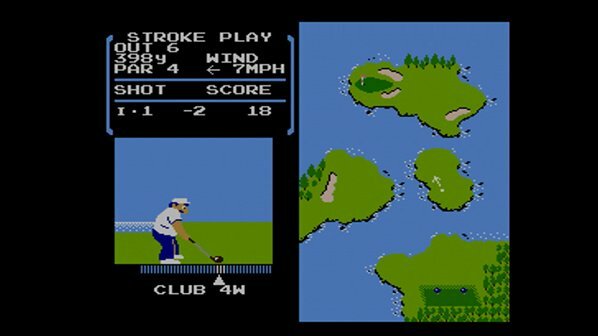 I always thought Golf games would be boring to me as a kid, but this was my first golf game i played and was kind of fun. 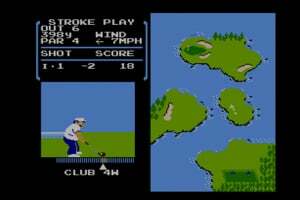 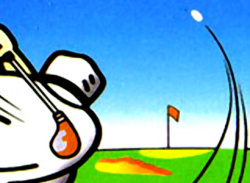 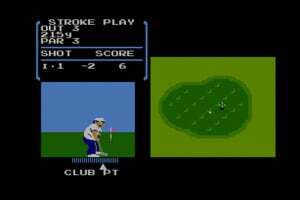 As far as old school 8-Bit Golf games go, i really liked Golf for the GB.